During the summer of 2012 (19 – 26 August) a youth radio camp will be held in Belgium, it is organised by UBA youth commission and the Dutch radio amateurs. The location for the event is close to the Dutch border. Many young radio amateurs from 10 different European countries will be participating in different activities e.g, contesting, ARDF, presentations, field-days, visiting radio stations and many more interesting events. There are 10 teams from different European member associations of IARU R1. A team consists of – a team leader (this could be an older person), and 4 team members between the age of 18-25 years. 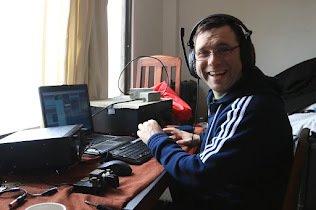 There is a special callsign achieved for the event – ON4YOTA. This will be a great experience for young HAM’s participating; it will be an occasion they will never forget. 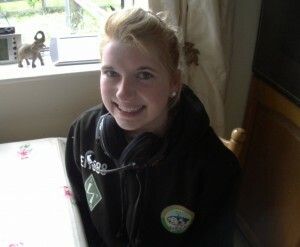 A member of The Mayo Radio Experimenters Club Shauna Baynes EI1588 is a member of the team representing EI (Ireland). They will be travelling to Brussels on Saturday morning from Dublin, with their leader Ger McNamara EI4GXB from Limerick. The Mayo Radio Experimenters Club and my family including myself wishes Shauna and all the team the very best of luck during the event.